Check processing machines? … Yes, we have them. More importantly, though, what does CrossCheck do with them? Like the old adage about tools only being as good as the craftsmen who use them, CrossCheck leverages check processing machines to help merchants increase sales and mitigate risk while saving time and money. Check processing machines became a necessity after Congress passed the Check Clearing for the 21st Century Act (Check 21) in 2003 and it went into effect the following year. The vulnerabilities of the old system — including the overnight exchange of checks between financial institutions — became apparent in the days following Sep. 11, 2001 when all non-military aircraft were grounded for security reasons. As a result, Check 21 allows banks to process checks electronically, making for a more efficient and sustainable check clearing system. Merchants use check scanners to generate a digital version of a paper check (“a substitute check”) which is the legal equivalent of the original check. They either hand the original check back to the person submitting the item (now marked “VOID” by the scanner) or destroy it. Next, the merchant prepares the transaction by entering information associated with the check into a payments processing application. The substitute check and data are electronically transmitted to a depository financial institution via an encrypted internet connection where it is cleared and settled electronically. The merchant receives an authorization number from the payments processing company to confirm the transaction. Finally, the check writer’s account is debited while the account of the party receiving the funds is credited. 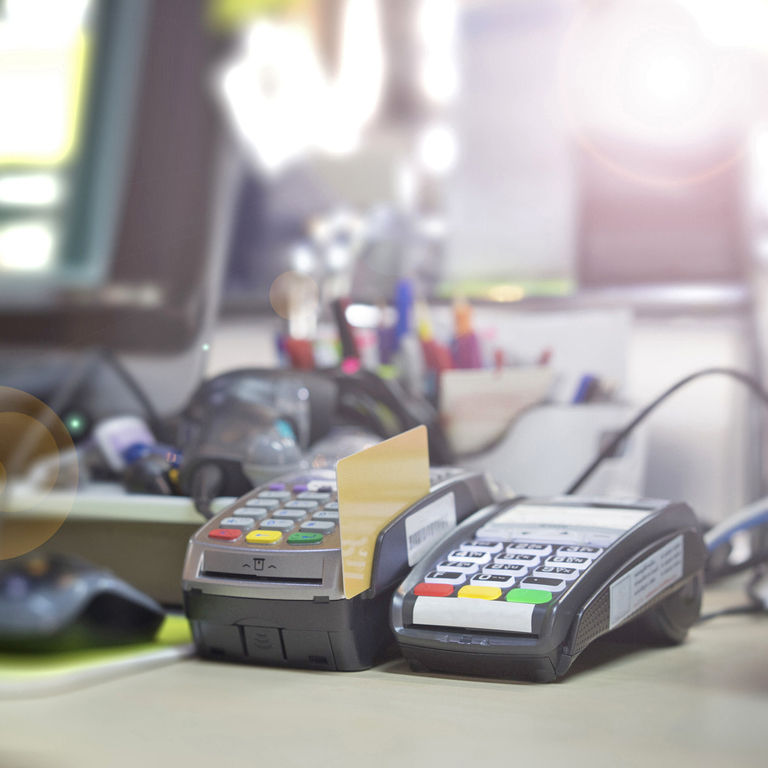 CrossCheck uses a variety of recommended check processing machines and has a no-fee loaner equipment program for merchants who do not own compatible scanners. The arrangement even includes servicing or replacing if either is ever needed. The I:Deal is a popular single-feed check scanner designed specifically for the needs of small businesses that electronically process low volumes of checks. This unit applies patented technologies that optimize the functionality of remote deposit capture (RDC), including high-quality dual-sided image capture, document franking (marking), and advanced reading technologies in the areas of magnetic ink character recognition (MICR) and optical character recognition (OCR). A pocketing feature provides document storage for up to 10 checks to ensure the integrity of transaction sequence and minimize paper handling. Digital Check states that the “award-winning CheXpress CX30 is the only bank-quality check scanner offered at a small business price.” This scanner is recommended for low-volume check capture environments and are rated at over one million items over its lifetime (“the highest duty cycle of any scanner in its class”). Operating at a speed of one scan per second, it offers optional “scan and return” or “pass through” modes, the latter producing a straight path that terminates at the back of the unit. 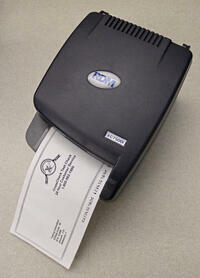 These check processing machines can also be enabled for functioning in a secure network environment. 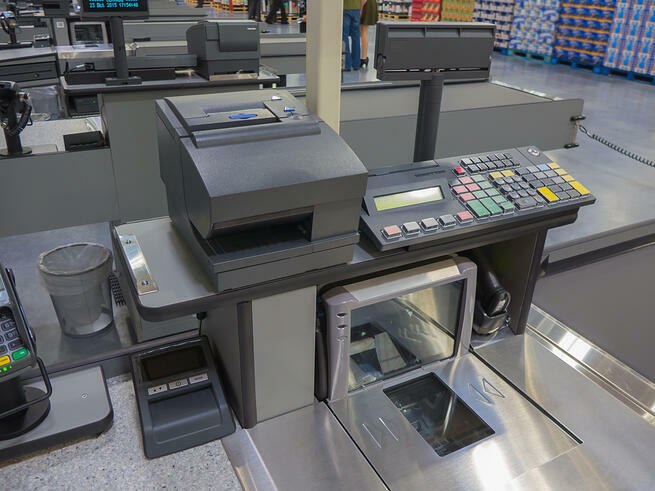 This series of check scanners is recommended by RDM for low-volume use by accounts receivable departments, healthcare offices, government entities and retail businesses. It also offers duplex document imaging and check scanning technologies that deliver precise MICR read rates and images that are compliant with industry standards. 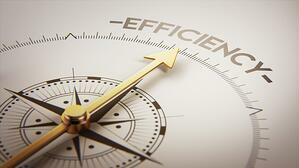 Each unit is factory calibrated before shipping to enhance user satisfaction and simplify implementation. 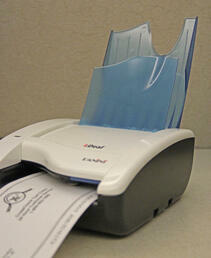 This multifunctional device is capable of handling paper and card-based payments on a small footprint. The EC7500i Series is compatible with CrossCheck FOCUS, a desktop application that works independently of web browsers. The Excella STX is a full-color scanner with solutions for auto and single-feed operation as well as integrated, secure card reader authenticators. The unit also features a front-and-back printer for the franking and endorsing of dual-sided images in an efficient single pass. This check processing machine offers MICR reading for E13B and CMC7 fonts as well as the ability for connecting to standard PCs and terminals via USR or Ethernet 100Base-T interface. The device is also compatible with the CrossCheck FOCUS desktop app. CrossCheck takes the worry out of using check processing machines at the point of sale or in the back office. Two important CrossCheck departments, Account Implementation and Retail Systems Support (aka “Tech Support”), are responsible for providing the seamless activation of new accounts. Account Implementation ensures merchants are operational and trains them on how to properly conduct electronic check processing. Tech Support reviews merchant check processing needs to determine the most compatible device for the application (or a mix of devices for merchants having multiple locations or services). Next, Tech Support remotely programs existing equipment or provides merchants with loaner equipment as necessary. The team also coordinates with large accounts having dedicated IT departments to develop installation plans at multiple locations. All systems are thoroughly tested by Tech Support before going live to ensure a smooth launch. CrossCheck has the resources to deploy service to a single merchant or those with multiple locations quickly without slowing down merchant operations. CrossCheck is the exclusive check guarantee provider for the largest auto dealership in the nation. Large or small, new merchants receive first-class treatment and CrossCheck’s undivided attention. Download our free guide to learn how CrossCheck’s electronic check processing solutions can help your organization increase sales and mitigate risk while saving time and money.